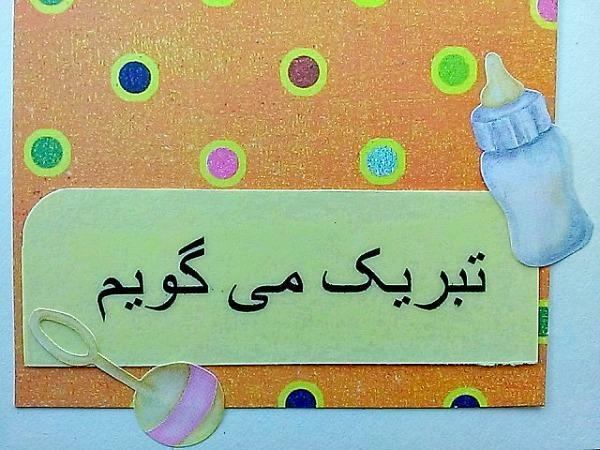 Welcome a new Persian baby with this handmade card. 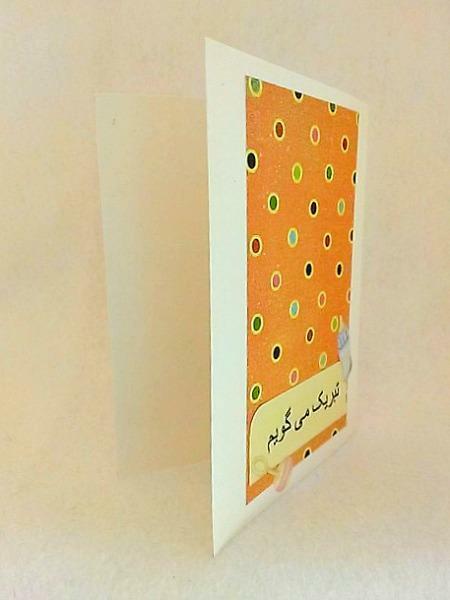 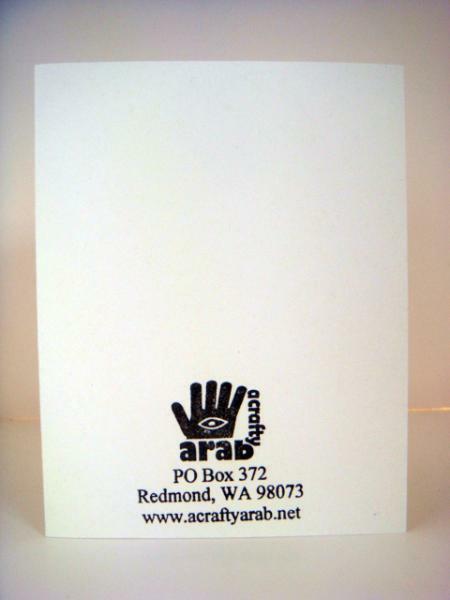 The words tabrik migoyam were written on vellum and added to yellow cardstock. 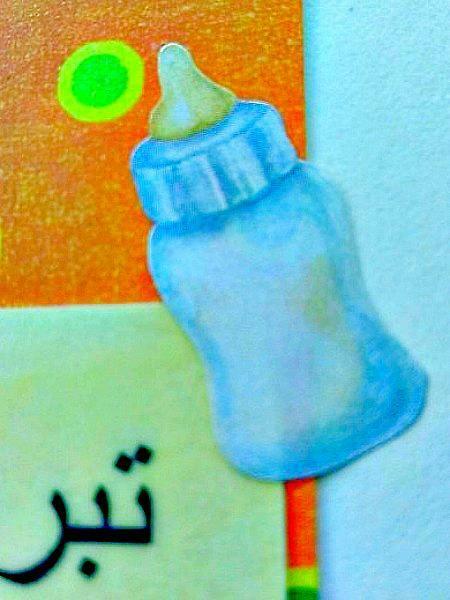 Detail includes a baby rattle and a milk baby bottle. 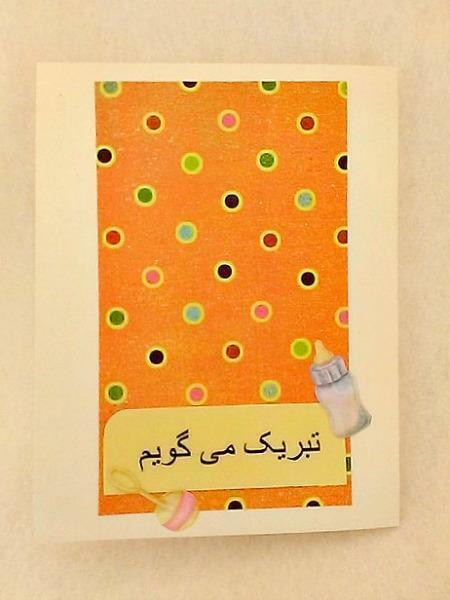 Multicolored polka dots background makes it a perfect addition to a gift for either a baby girl or boy.